Observe National Coffee Day by supporting one of these devine San Diego coffee shops. Latte, espresso, short macchiato, cappuccino, iced coffee... No matter how you like your java, there's always an adequate reason for starting off your day with a cup of joe. As a matter of fact, there are many different reasons why people drink coffee from the fact that it gives them more energy in the morning to the pleasure their taste buds feel as they indulge in a quality roast most suited for their personal preferences. 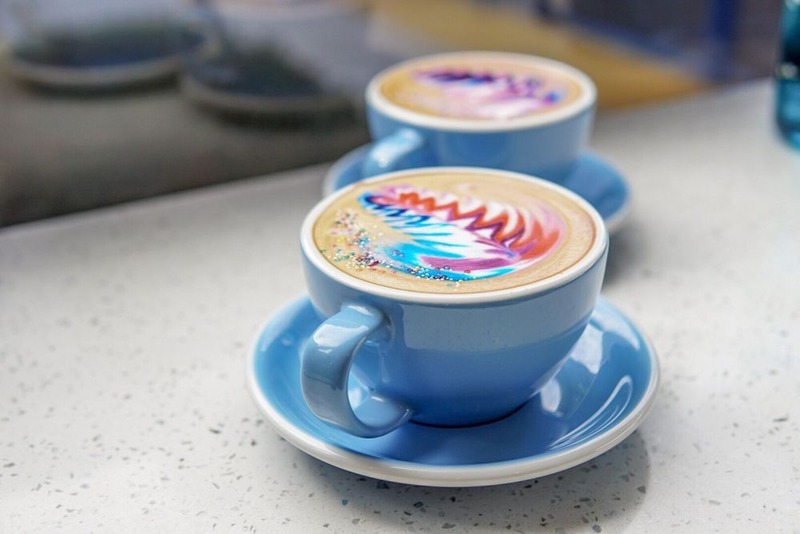 If you really want to go out for National Coffee Day, head on over to S3 Coffee Bar in Mission Square Center for their signature Rainbow Latte, which is only available on the weekends. This delicious beverage has multi-colored froth and rainbow sprinkles sure to start your day on a cheery note. Another popular drink they offer is their Honey Rose Gold Latte, which is exactly what it sounds like: a rose-colored beverage topped with edible gold flakes. But colorful brews isn't the only thing S3 has to offer. From Cookie Butter Cappuccino, to top-notch avocado toast, to acai and pitaya bowls, this San Diego coffee shop knows what they're doing. If you're in the mood for a sweet bite, S3 also offers Cravory cookies in unique flavors such as Spicy Razzberry, Lemon Bar, and Chocolate Truffle. Upon entering the industrial building of James Coffee featuring large neon signs and upbeat music, you'll notice that the coffee shop is dotted with a variety of items up for purchase including coffee accessories, beauty products, cards, and other local items. They even offer a large study nook and barber shop in the back. Now that's what community is all about. As for the coffee? I recommend trying James Coffee's Honey Cinnamon Latte, Horchata Latte, or their Mexican Hot Chocolate Espresso. 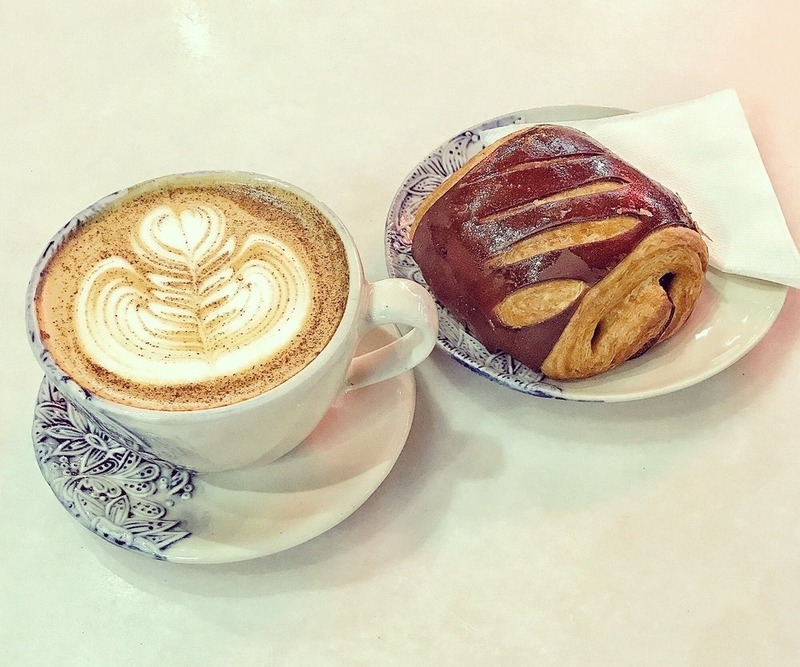 Pair your java with something to eat such as their Old Fashioned Maple Donut, Veggie Quiche, Brioche with Chocolate Chips, or one of their incredible macarons in fun flavors such as Mango Passion Fruit. There isn't a bland drink or boring bite to eat at this San Diego local business! 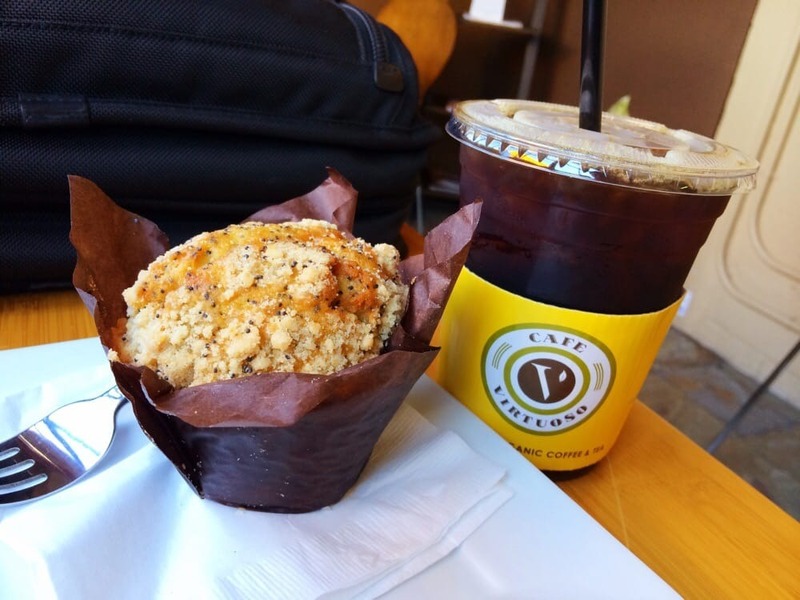 Whether you plan on ordering a made-to-order cup of coffee or are just coming in to shop their selection of coffee beans and loose leaf teas, reusable cups, drip coffee makers, and other products, you're going to love Cafe Virtuoso. To top it off, this San Diego coffee shop is dog-friendly, so bring your pup if you wish! Some of the top drinks you'll want to consider ordering at Cafe Virtuoso include their Almond Latte, Dark Chocolate Mocha, or their Cortado. You'll also love their decadent Apple Danish or Coconut Pineapple Muffin for a sweet treat. All in all, Cafe Virtuoso is a clean, fairly quiet establishment combining art and coffee like no other. If you aren't sure what one of their blends will taste like or are picky with your brew, the employees will be more than happy to provide their expertise. If you're up for floral infusions alongside your espresso, Communal Coffee is the perfect, little shop for you to visit on National Coffee Day - or any day for that matter. Consider their Rose Vanilla or Lavender Honey Latte to get your taste buds spinning. For autumn-y flair, you may instead which to opt for their Maple Cardamom Latte. 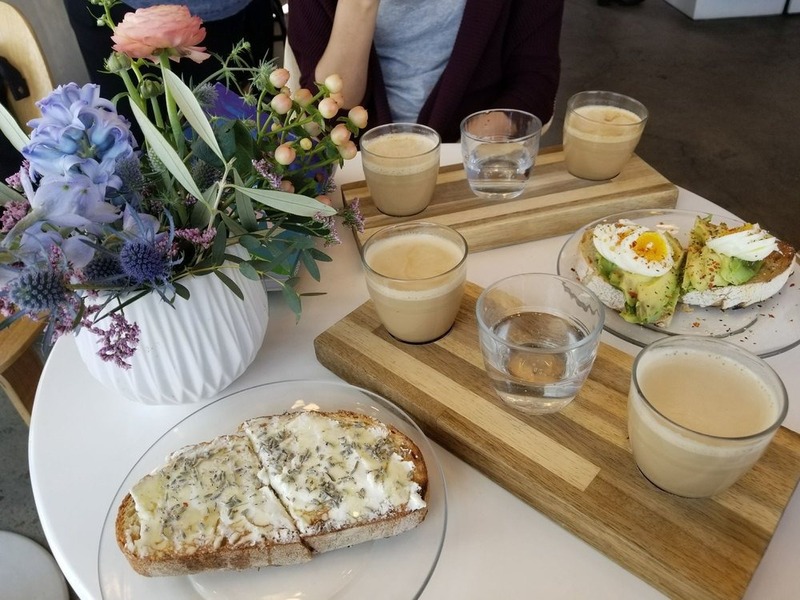 Apart from great drinks, Communal Coffee is also known for their flavorful toasts: Jam and Goat Cheese Toast, Caprese Toast, Avocado Toast with Egg, Lavender Honey Toast, the list goes on. You may be wondering what makes Communal Coffee so special. Well, not only do they present floral flavors perfectly with many of their menu items, they also offer an in-store flower bouquet, Native Poppy! That said, as you leave Communal Coffee, pop on over to Native Poppy for a fresh flower bouquet to complete your trip. As the name of this San Diego business suggests, both coffee and bagels are Spill the Beans Coffee and Bagels' specialty. 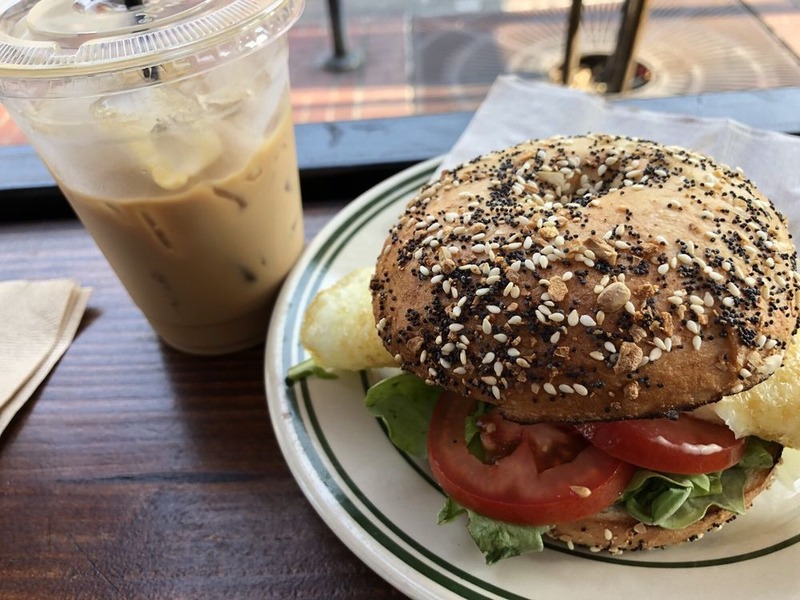 With Dark Horse coffee and California-style bagels topped with generous amounts of avocado - or eggs and bacon if you want your bagel in breakfast sandwich from - you'll get a hearty breakfast or brunch at this modern, local business. One recommendation at Spill the Beans Coffee and Bagels is pairing their creamy Cinnamon Vanilla Latte with their spicy Serrano and Habanero Bagel smothered with shallot and caramelized onion cream cheese for the perfect play on flavor. Other menu items that are to-die-for include their Pumpkin Bagel with pumpkin cheesecake cream cheese, Matcha Tea Latte, and their Millennial Bagel. After trying this place for yourself, you're definitely going to want to spill the beans! Supporting your local San Diego coffee shops is a great way to give back to the community. While you'll probably enjoy a cup or few of coffee today anyway, trying a new coffee shop is an exciting way to celebrate National Coffee Day, and not to mention, come across a new favorite business to change up your daily morning routine.